We have partnered with India’s leading dating app TrulyMadly to help create a safer community of online daters. TrulyMadly users can use Yoti to verify their personal details and boost the Trust Score on their profile, giving other daters assurance that their profile is genuine. While online dating continues to grow, people fall victim to dating fraud and romance scams which cost time, money and emotional distress. Daters are required to trust the people they meet online are who they claim to be. Yet fake profiles on dating and matrimony sites are not uncommon, and it’s too easy to be tricked or scammed by somebody using a false identity or hiding behind a fake profile. 50% of adults are not confident that the personal details of people on dating sites are true. This results in risks of identity theft, financial fraud and catfishing. Working with TrulyMadly is a great step towards tackling these issues, making online encounters safer and giving daters peace of mind about who they’re meeting. Each TrulyMadly profile has a Trust Score. This is determined on the willingness of the individual to share and verify their personal details. By connecting their Yoti profile with TrulyMadly, the company will automatically receive the dater’s verified details; boosting their Trust Score. The higher the score, the more matches a dater is likely to receive. This can be done in three simple steps. Install the free Yoti app. Add your passport to your Yoti. Go the the TrulyMadly Trust Builder and verify your ID document with Yoti. 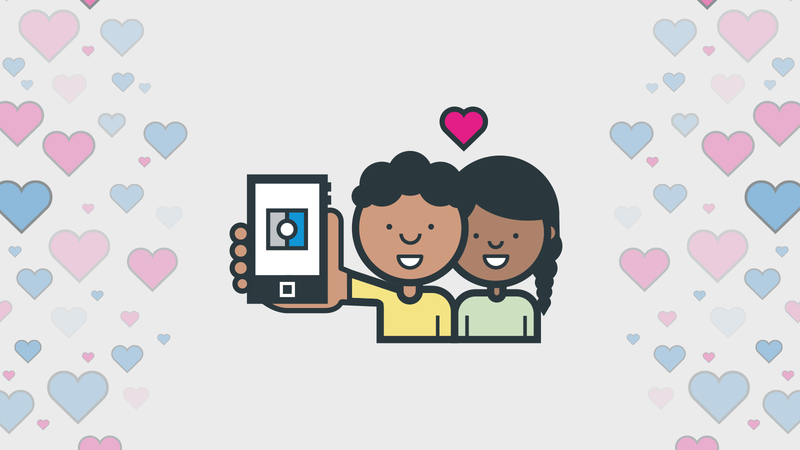 With digital identities, we can all help make dating online safer.